When the magpie king wakes up one morning, his entire plumage has changed to raven black! Where did the white disappear? Nobody knows the answer. The king’s subjects whisper behind their wings, but none of them dares to address this mystery. Thus the magpie king harbors growing resentments towards his fate, towards his subjects, and towards the white in the world. 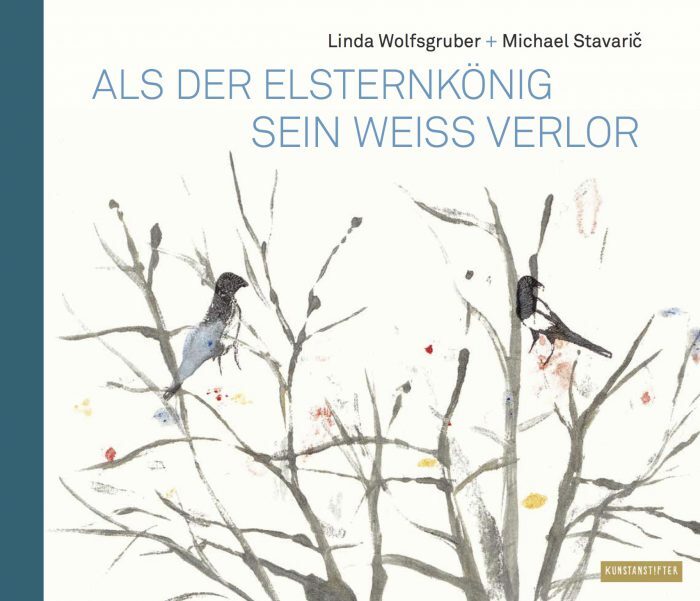 This fairytale-like story by Michael Stavaric about a king searching for his lost white identity is wonderfully matched by Linda Wolfsgruber’s aerial illustrations in black-and-white and pastel shades.